Graduating as an instructor will open up opportunities for you to train (and assess) learners in your field(s) of expertise. To make sure you are up-to-date on all of the driver trainer requirements from the Transport Main Roads, please click here and read through the information. Target Group: no prior experience in driver training, other training, teaching or coaching Where: Training within 100km from Brisbane CBD + SE-Qld. Regional applicants please contact Watto Training for a quote. 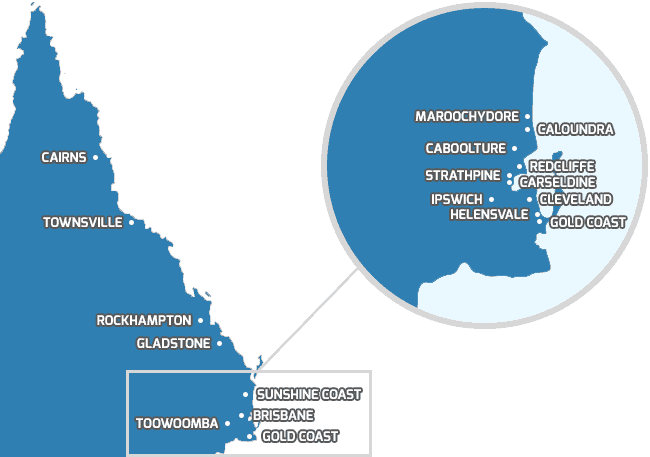 Where: Training within 100km from Brisbane CBD + SE-Qld. Regional applicants please contact Watto Training for a quote. If you believe you have relevant RPL please advise Watto Training and we will provide you the RPL Kit for you to complete. This qualification is for those engaged in driving instructor job roles within the Transport and Logistics Industry. It includes the performance of a broad range of skilled applications including requirements to evaluate and analyse current practices, to develop new criteria and procedures for performing current practices, and to provide some leadership and guidance to others in applying skills and planning skill development. This qualification is currently cited as meeting part of the requirements for certification as a Motor Vehicle Driving Instructor, as defined by relevant state/territory licensing and regulatory requirements. Q: What units need to be completed? Q: I have prior experience/qualifications, is this taken into account? A: It can be taken into account but it depends on a number of factors such as type and length of experience, qualifications – when completed and relevance to this course, and so on. Watto Training is happy to discuss pathway options for applicants who may already hold knowledge, skills and qualifications from previous/current fields of work. In such cases, the applicant may be eligible for Recognition of Prior Learning (RPL). Recognition of Prior Learning (RPL) is a process that allows the competencies you already possess to be recognised, regardless of how you obtained them. These might include skills you picked up on the job or from other life experiences that do not necessarily include formal training. Recognition of prior learning could provide you with a full or part qualification, and avoid duplication of training. It could be used to identify what training you may need to complete a qualification or could provide a pathway to higher qualifications for people who may not have access to further training. Your RPL Assessor can discuss evidence you will need to supply with your application if you wish to have your experience recognised. In many cases, RPL will only give the off-the-job component of the unit. You may still need to meet the on-the-job component, assessed at work. Credit transfer recognises previous formal learning (e.g. university, other qualifications). It uses an assessment of a previous course or subject that an applicant has achieved to determine whether it can be credited to the new course in which the applicant wishes to enrol. The assessment determines the extent to which your previous course or subject is equivalent to the required learning outcomes of the desired qualification. Q: What is a Portfolio of Evidence? A: Typical portfolio items are listed below. In each case, the evidence must be your own work and directly relate to the knowledge and skills described by the unit of competence you are seeking RPL for. Copies of documents you have completed as part of your work eg budgets, reports, memos, spreadsheets, estimates etc. Q: How do I enrol? Please click on the following links for specific and detailed on the Car Instructor Course. Q: I haven’t studied for a while. Will I be able to succeed? Knowledge of terminology, such as browser, download, etc. Internet skills (connecting, accessing, using browsers) and ability to perform online research using various search engines and library databases. Ability to use online communication tools, such as email (create, send, receive, reply, print, send/receive attachments), discussion boards (read, search, post, reply, follow threads), chats, and messengers. You need to have strong reading skills and be able to communicate effectively through writing. Most of the material in the online environment will come from your textbooks and written lectures, therefore strong reading and critical thinking skills are very important for success in an online course. While correspondence courses can offer more flexibility in scheduling, they require more self-discipline and independence than face to face courses. Some students can find this uncomfortable and not suitable for their learning style. They may miss face-to-face interaction with an instructor and peers, which helps to keep them on track. In the online / home study environment, you have to be able to start and to work on tasks on your own, without someone keeping you focused, and you have to be self-disciplined in order to follow the class schedule and meet deadlines. Online/home study classes take as much time as regular face to face classes. You need to set aside sufficient time for study. Plan to spend at least as much time working on the assignments and studying as you would with a traditional course. If you need help, please don’t hesitate to ask. We’re here to help. For Watto Training courses, a sound understanding of English, as well as basic English speaking, reading and writing skills, are required. Further, applicants must have basic mathematical skills. Enrolment Application Forms include specific questions about educational experience and academic skills and the need for LLN support. Pre‐Enrolment Short LLN Diagnostic Test in Reading and Numeracy is integrated into the Course Application Process. If a potential student has not completed any formal academic qualifications (e.g. Year 12 for the diploma or advanced diploma) and other entry requirements, they will be directed to complete a short LLN diagnostic test in Reading and Numeracy (free of charge). Potential students who have completed the formal academic qualifications may also complete the test but this is not compulsory for them. Q: What are the entry requirements for the instructor training courses? Applicants must undergo a Police history check, a driving history check & a medical check (if required). These checks are completed by Queensland Transport and Main Roads Department. Queensland Transport and Main Roads may refuse to grant accreditation to a person who has been convicted of an offence under the Criminal Code or is currently charged with an offence under the Criminal Code and the charge has not been fully disposed of. The requirements for driver trainer accreditation fall within the Transport Operations (Road Use Management – Accreditation and Other Provisions) Regulation 2015 (2015 Regulation). The changes incorporated in the 2015 Regulation are detailed below. Currently to apply to become an accredited driver trainer an applicant must hold or have held for at least 1 year an ‘O’ type licence (open driver licence) authorising the applicant to drive the class of motor vehicle stated in the application as the class of motor vehicle for which the applicant proposes to give training. An ‘O’ type licence means an open driver licence granted outside Queensland. This requirement has been changed to a person has the necessary expertise to be accredited to perform the function of a driver trainer, for a class of motor vehicle, if the person holds and has held, on the day the application is made for a continuous period of at least 1 year, a valid open licence authorising the person to drive the class of motor vehicle. This includes a valid interstate driver licence or a valid driver licence granted in New Zealand. A valid licence means a licence that is not expired, suspended or cancelled and the licensee is not disqualified by an Australian court from holding or obtaining a driver licence. Training and assessment is delivered by our highly qualified and experienced trainers and assessors. You can see more information on our trainers here. 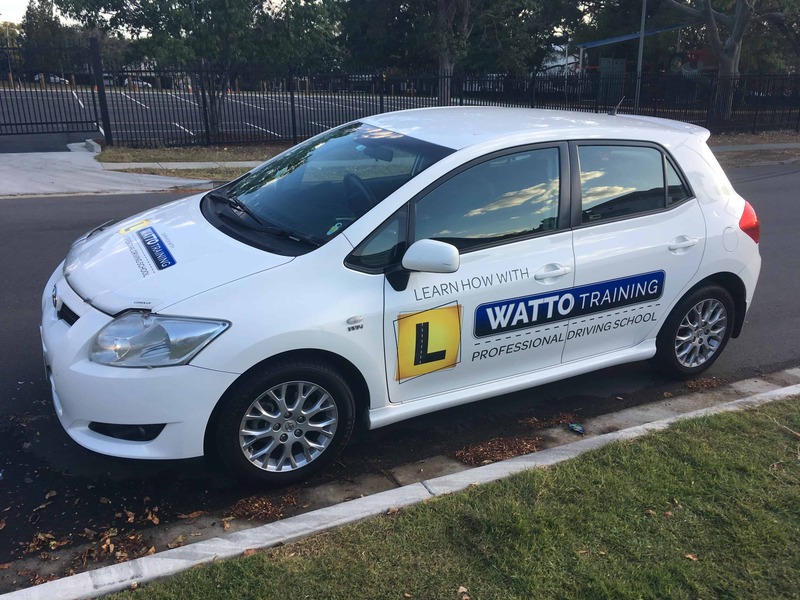 Watto Training does NOT use Third Parties to deliver training and assessment services for any accredited training. Where Do Your Courses Run? Our car instructor courses are run all throughout QLD in the following locations: Logan, Ipswich, Toowoomba, Gold Coast, Sunshine Coast, Maroochydore, Caloundra, Helensvale, Greenslopes, Wynnum, Cleveland, Carseldine, Strathpine, Redcliffe, Caboolture, Sherwood, Gladstone, Rockhampton, Gympie and Maryborough. A student who wishes to cancel their enrolment must give notice in writing. This may be via email or letter. Watto Training staff who are approached with the initial notice of cancellation are to ensure the student understands their rights with regards to the refunding of tuition fees. The student is also to be advised of other options such as suspending the enrolment and re-commencing in another scheduled training program. Students who give written notice to cancel their enrolment and who are eligible for a refund are to be provided with a Refund Request Form. A student who may not be eligible but is requesting a refund should also be provided with the request form so the request can be properly considered by the Chief Executive Officer. Students who give notice to cancel their enrolment less than 10 days prior to the commencement of a program will be entitled to a 75% refund of fees paid. The amount retained (25%) by Watto Training is required to cover the costs of staff and resources which will have already been committed based on the students’ initial intention to undertake the training. Discretion may be exercised by the Chief Executive Officer in all situations if the student can demonstrate that extenuating or significant personal circumstance led to their withdrawal. In these cases, the student should be offered a full credit toward the tuition fee in another scheduled program in lieu of a refund. Chief Executive Officer may also authorise a refund of tuition fees if the circumstances require it. Q: What is the Unique Student Identifier (USI)? A: Unique Student Identifier (USI) is a reference number made up of numbers and letters that give students access to their USI account. A USI will allow an individual's USI account to be linked to the National Vocational Education and Training (VET) Data Collection allowing an individual to see all of their training results from all providers including all completed training units and qualifications. If you do not have a USI or cannot get one, you can give permission for Watto Training to obtain one on your behalf on the course enrolment form. Interested in taking our Car Instructor course? Fill out the form below with your contact information and preferred date, and we will be in touch with you soon! Alternatively, you can call us on 0459 840 006 or email info@wattotraining.com.